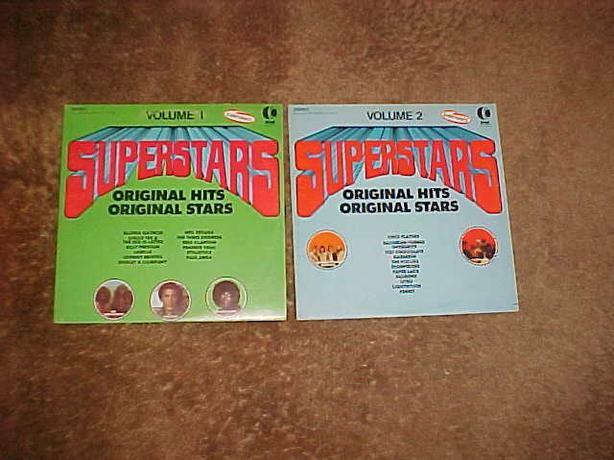 THIS TWO RECORD SET, SUPERSTARS, WAS RELEASED BY K-TEL IN 1975. 24 HIT SONGS BY 24 SUPER STARS. THEY ARE MARKED TC 227-1 AND TC 227-2. BOTH THE ALBUMS AND COVERS ARE IN NICE CONDITION.